Upendo Ventures Joins the DNN Corp Partner Program | We "Upendo"
Central to Upendo’s philosophy is the idea of changing people’s lives using technology. The team at Upendo believe that utilizing the toolset found in Evoq can help achieve this mission for many clients. Though, Upendo realizes that every business is different, and every solution needs to be tailored to meet the unique needs of each customer. “Being part of the DNN partner program expands our client’s choices, and we’re all about helping our clients achieve success over the short- and long-term,” says Strohl. The team at Upendo knows just how important it is to be part of the DNN partner program. 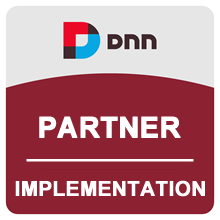 It’s well-known that the DNN partner program only features world-class leaders in website design, development, and implementation. Upendo Ventures uses technology to change people’s lives, serving clients across the U.S. and abroad. Utilizing a refreshing service-first approach, Upendo breaks the web development and digital agency stigma while still delivering complex and elegant website, app, and integration solutions across several platforms. Upendo clients include COPD Foundation, Buckmasters, Top Promotions, Believe Kids, 51Degrees.mobi, and AAPC Publishing. DNN provides software that helps organizations create, manage and measure content, enabling it to surface when and where it’s needed. Leading organizations like Bank of America, Aetna, True Value Hardware, Whirlpool, the US Department of Defense (DoD) and Sports Direct use DNN’s Content Management System (CMS) to create optimized digital experiences.